The Other Side of Will: Whisky Beer? 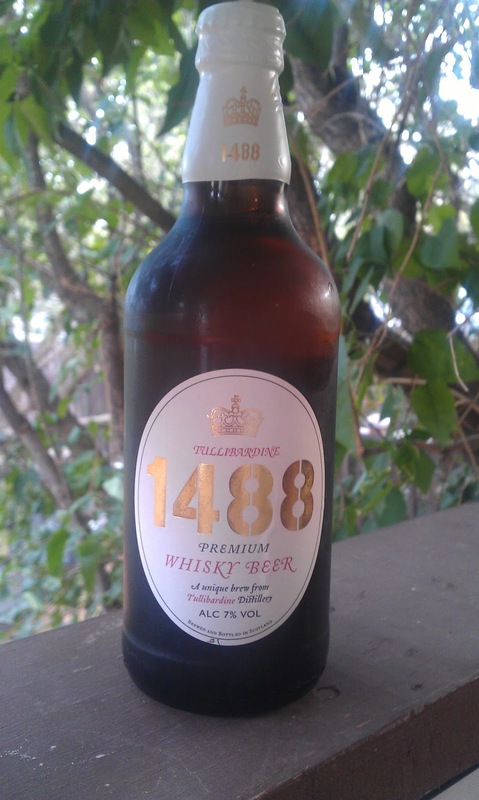 So I was in my favourite liquor store the other day and was exploring some of the exotic imported beers when I saw this: "1488 Premium Whisky Beer." As a fan of both beer and single malt scotch whisky, you had to know I'd find that intriguing. However, I've never thought of the two mated together in the same bottle before. Thankfully the store offered them available as single bottles so that I could sample it without investing in a full case. It hails from the Tullibardine Distillery in Scotland. For some reason, that's not really a surprise, for who knows Scotch Whisky better than the Scotch? "Brewed with Scottish water and malted barley used in the distillation process. Then gently conditioned in oak casks used to mature scotch whisky." Well, there you have it; whisky beer. And at 7% alcohol per volume, it's a little stronger than the standard 5% one sees in most Canadian beers. So please excuse me; time to sit back and enjoy an interesting, but really quite good, Scottish beer. Cheers. 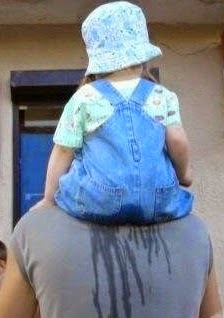 A Bachelor Party Gone Wrong?